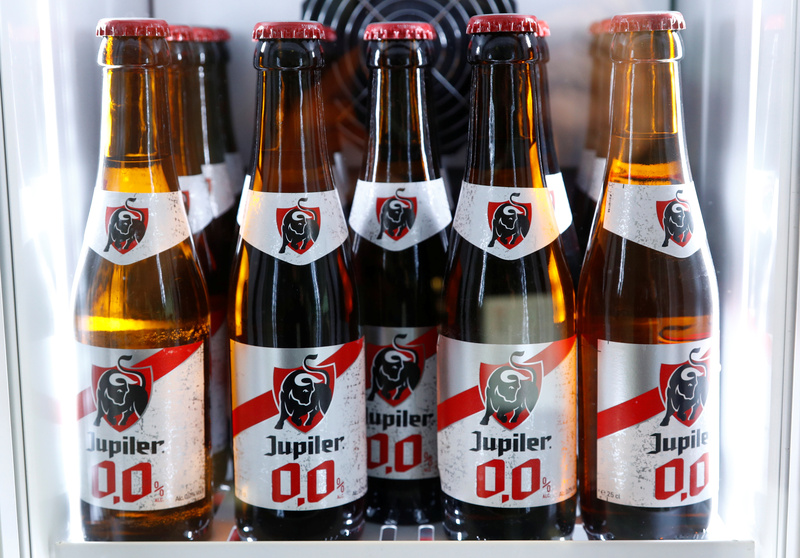 Non-alcoholic Jupiler beer bottles are seen at the headquarters of Anheuser-Busch InBev in Leuven, Belgium February 28, 2019. Anheuser-Busch InBev's chairman, Olivier Goudet, said on March 5 that he was stepping down from the brewer's board to devote more time to his job as chief executive of investment firm JAB Holding. The Belgium-based company said Goudet would step down after an annual shareholders' meeting set for April 24 and that a successor, along with new board members, would be announced in due course. “The board’s succession plan has been developed since last year and we have been working with Mr Goudet on a smooth transition,” AB InBev said.